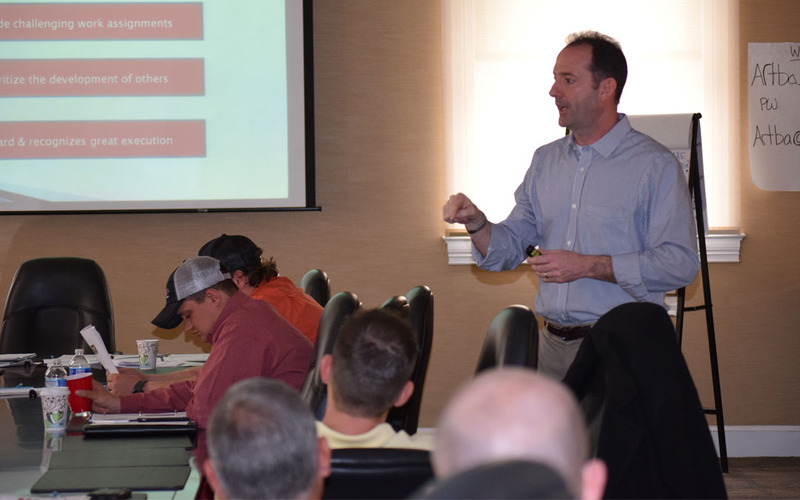 More than a dozen transportation construction industry professionals recently gathered at ARTBA headquarters in Washington, D.C. March 9-13 to participate in the highly acclaimed Project Management and P6 Scheduling Academies. Leading industry experts provided substantive theory and challenged attendees to find practical, yet innovative, responses to real-world scenarios and solidify their skills in planning, managing, generating profit and delivering projects in today’s competitive construction industry. Participants of the Project Management and P6 Scheduling Academies received instructions on topics such as safety and resource management, industry ethics, planning and scheduling, construction documentation, leadership and building effective client relations. To learn more about ARTBA’s continuing education programs, please visit www.transportationbuilderinstitute.org or contact ARTBA’s Kashae Williams at kwilliams@artba.org or 202-289-4434.